Demands are being made by London mayor Sadiq Khan for devolution of all post-16 FE funding, to bridge post-Brexit skills gaps. His team announced today that he wants new powers to develop “a home-grown talent pipeline equipped” to help London’s businesses stay globally competitive. Key to this would be the “devolution of FE funding for 16-19 year olds and adults to create high-performing colleges to meet the needs of London’s economy and help reduce youth unemployment”. Mr Khan’s demand goes much further than much-criticised government plans just to devolve the adult education budget. Mr Khan stressed today that it was important to press ahead with devolution, so City Hall has the tools it needs to plug any skills gaps for businesses that could emerge from Britain pulling out of the European Union. He said: “London has a strong, dynamic economy that makes a significant contribution to the UK. “When London does well, Britain does well and it is therefore crucial we have the skills system to continue to be a globally competitive city that works for all Londoners. “The uncertainty around Brexit means it is critical we have a strong skills base with a good mix of local and global talent to both retain and attract business. The announcement comes a day after it emerged that Mr Khan had joined calls on the government to rethink proposed apprenticeship funding rates for younger learners in some of the nation’s most deprived areas. His concerns about the effect of such drastic cuts on social mobility and on young people in the capital were outlined in a letter to Tottenham MP David Lammy and seen by FE Week. 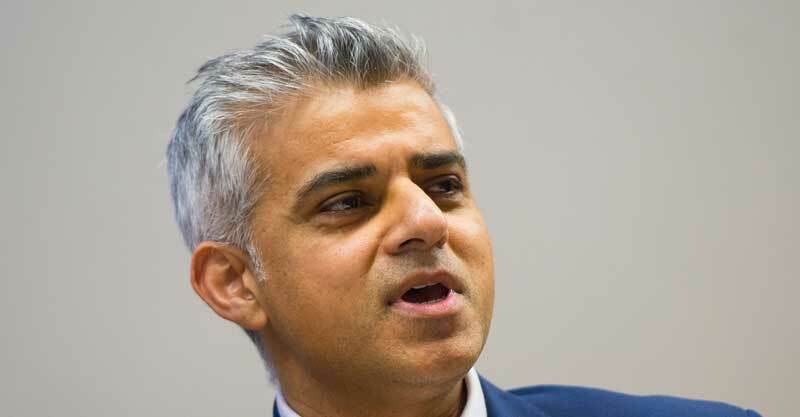 “I am concerned that these proposals may be in conflict with the government’s social mobility agenda and could make it more difficult to achieve my manifesto pledge of creating a fairer and more equal city, as well as achieve my commitment to create thousands of new, high quality apprenticeships that will play a vital part in securing opportunities for young Londoners,” he wrote. Mr Khan’s letter came amid growing anger from politicians, employers and providers, since FE Week published its analysis of the provisional apprenticeship funding rates in August and launched the #SaveOurApprenticeships campaign. Why do all these mayors and combined authorities want FE funding devolved to local colleges? Anyone would think that they’d have to pick up the bill if the local college collapses. Don’t worry about what’s best for the employer or the learner. And certainly don’t worry about the majority of the rest of the country that doesn’t have a combined authority to devolve to. He’d be better off getting into the detail of the problems like David Lammy has, as opposed to spouting sycophantic soundbite solutions.